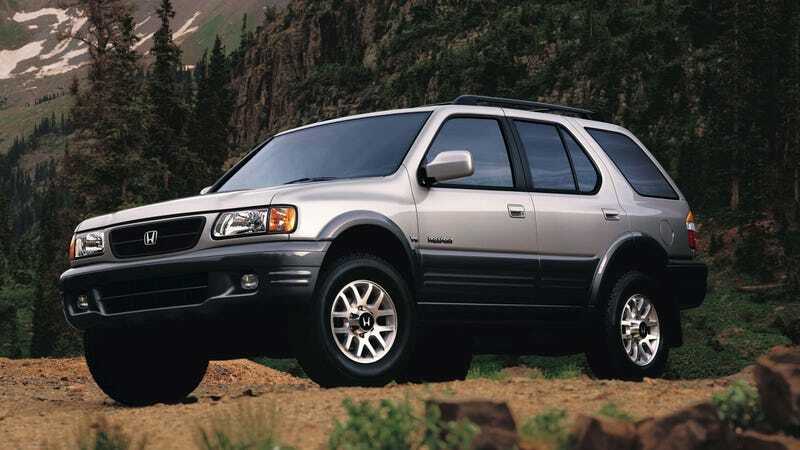 Sixteen years ago now, the Honda Passport, a strange and somewhat beloved SUV that was actually built by Isuzu, died. Now, according to Automotive News, the Passport might be coming back. The new crossover is probably going to look different than the boxy Passports that your neighbors drove around in the ‘90s. It is said to be bigger than the CR-V but smaller than the Pilot, possibly designed for those for whom the Pilot is too much car. “We have not confirmed any details related to this product so any specifics would be quite speculative at this point,” a Honda spokesman said Tuesday. When it enters the market, the new Passport will be Honda’s fourth crossover in the U.S., there to quench the seemingly insatiable thirst for SUVs and crossovers in almost every market. It will probably be built, Auto News says, at Honda’s assembly plant in Lincoln, Alabama, and be based on the Pilot’s unibody platform. That platform currently supports not only the Pilot, but also the Ridgeline, the Odyssey and the Acura MDX. And while November is a long time to wait, it’ll be worth it. There’s nothing from the ‘90s that I’m not in favor of bringing back and rebooting. Remember the ‘90s? Remember?